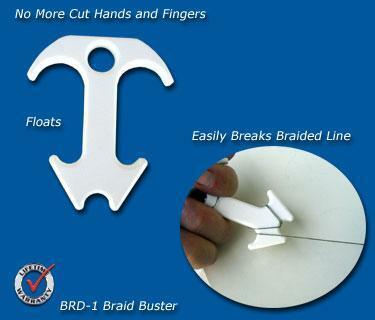 The BRD-1 Braid Buster is designed to help you save your braided line when snagged on the bottom. Simply follow the instructions and see how easy it is to dislodge yourself from the bottom. Much safer than other methods, no more cut fingers or hands. It floats!